The Disney Hotel room were really fun! They had a headboard that was carved to look like the Cinderella castle that lights up with fireworks! The lamp plays a dream is is a wish come true song and the television has a princess telling bedtime stories! 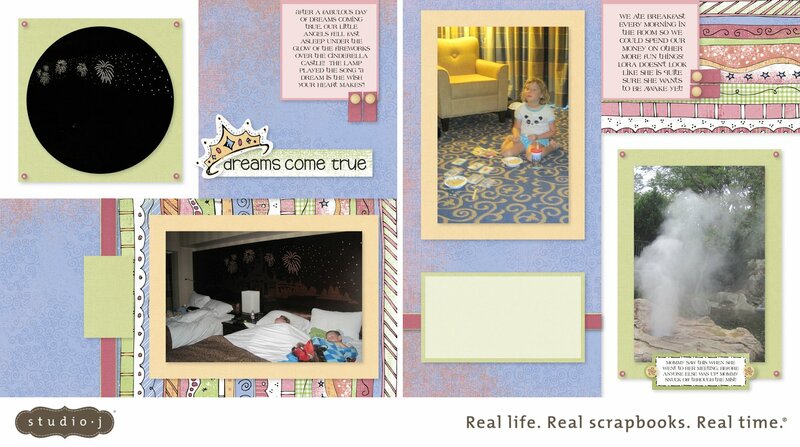 I used Daydream, the perfect princess paper that is retired. The title is stickease as is the crown and the journaling under the foggy picture! This was a fun layout to do lots of journaling on too!